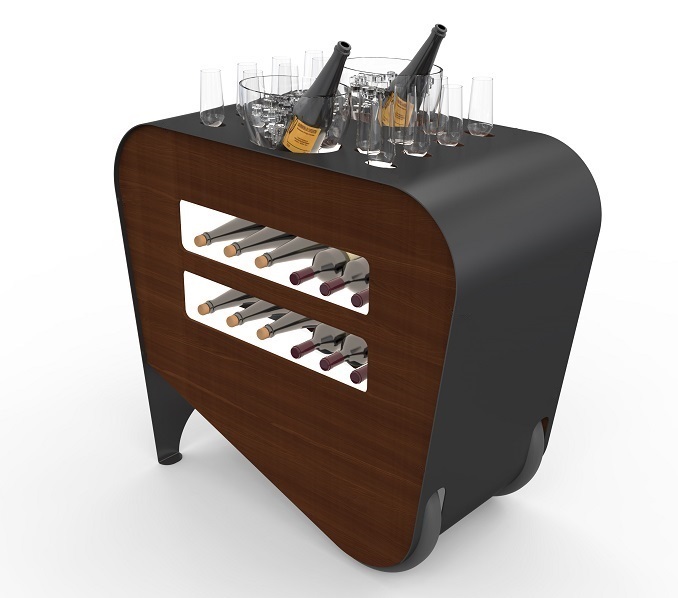 Esigo wine trolley, great attention to details, neat shapes, essential structure, simply unique and functional. Ideal for all special occasions, it is exceptionally easy to handle. Thanks to this technically impeccable wine trolley, contemporary design blends with wine service and wine degustation. When positioned in strategic areas, it becomes a fundamental high-impact communication point.